Kids love to be a part of holiday fun including donning silly sweaters like these. 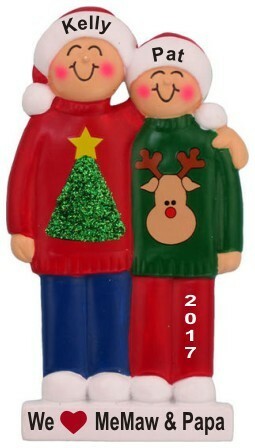 The 2 grandkids holiday sweaters love for grandparent(s) personalized ornament is one kids and grandparents equally enjoy. 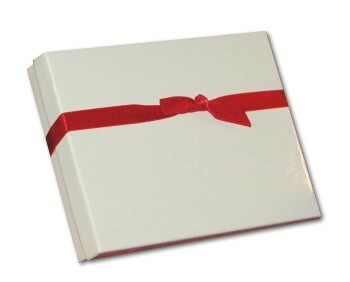 It can be customized as a gift from either generation. The lettering is done by hand, and the font is stylish. A personalized grandparents ornament of wonderful sentimental value is the result. At your option, we will include a longer message on the reverse side, and our plush velvet gift bag is free with any purchase. Tell special people they are loved this holiday season with the kids in holiday sweaters personalized grandparent ornament that children enjoy too.